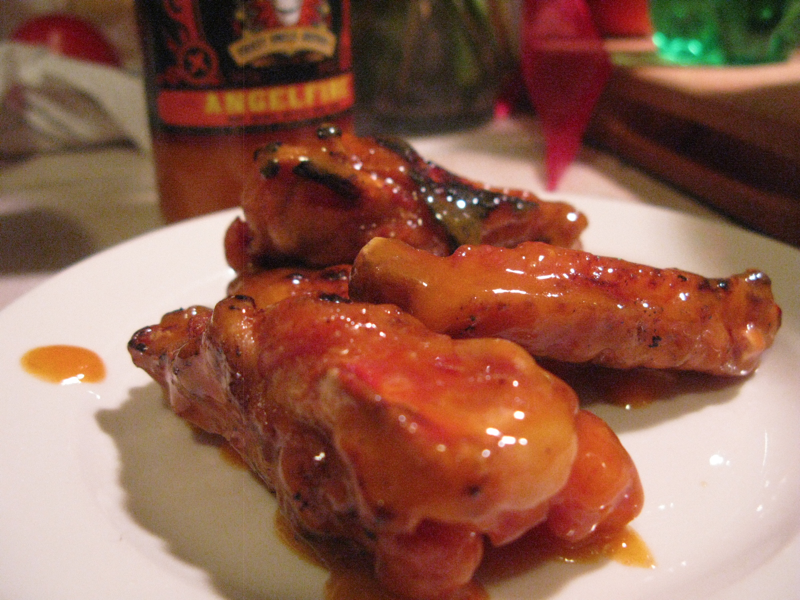 We love Crazy Uncle Jester’s sauces, and this Angelfire Bhut Jolokia Buffalo Wing Sauce didn’t disappoint. It combines the tang of a true buffalo wing sauce with a southern bayou flavor along with the heat of the Bhut Jolokia pepper. Bright orange in color and of a medium thick consistency, this sauce first hits you with the zing of vinegar, then a hint of cayenne brings on the bayou flavor followed by the Bhut Jolokia heat at the end. I thought it was not hot enough, considering that the Jolokia pepper is way up on the heat scale, but the pepper is listed last in the ingredients and so there is just a hint of its power and flavor. Marilyn loved it just as it is, and she thought the heat level was just right. That’s good for marketing and the masses, but I’d like it hotter. 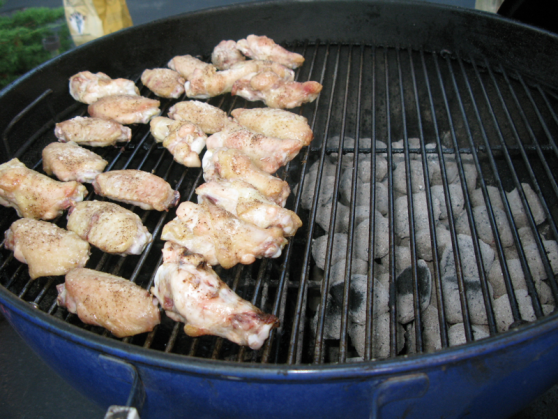 Jeff Stevenson of Crazy Uncle Jester’s told me, “If you want to kick up the heat in the Angelfire Wing Sauce, add some of our Louisiana Firestorm (habaneros, serranos, jalapenos) for a bit of heat, or some of our Spontaneous Combustion (habs, serranos, jalapenos, capsicum) for a lot of heat.” Okay Jeff, next time I will try adding those for a hotter Angelfire. … then tossed them in the Angelfire sauce. With the oils and soy ingredients, there is no need to add butter – just use it straight out of the bottle (a large 14 ounces). We had the pleasure of interviewing Crazy Uncle Jester’s Jeff Stevenson on Episode 006 of HotSauceWeekly – give it a listen!